To say it hasn’t been a good week for Trump son-in-law turned White House Presidential Advisor Jared Kushner would be an understatement. 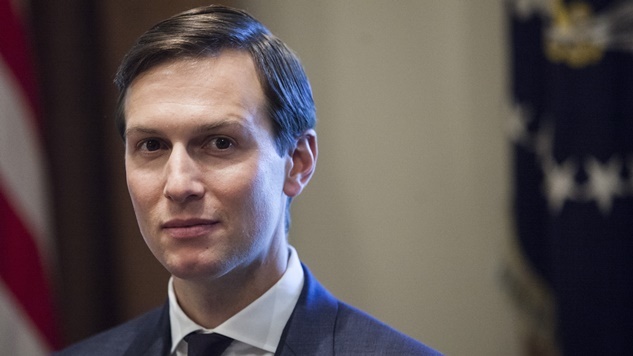 Having his interim top-secret security clearance downgraded to secret by White House Chief of Staff John Kelly on Friday would be bad enough, but Wednesday’s revelations that officials in the United Arab Emirates, Israel, China and Mexico have discussed strategies to manipulate Kushner threw Kushner’s presence in the White House, much less his ability to do his many jobs, into question. According to the Washington Post, the four nations have privately discussed how to utilize his business arrangements, financial difficulties and lack of foreign policy experience in order to push and pull Trump’s senior advisor to their whim. This would be bad enough if Kushner operated within regular national security channels, but he reportedly met with foreign officials without coordinating said contact through the National Security Council. Those meetings caught the eye of national security advisor H.R. McMaster, who cited both the meetings and Kushner’s vulnerabilities to foreign contacts in multiple intelligence briefings. “He thought that was weird … It was an unusual thing. I don’t know that any White House has done it this way before,” said a White House official, seconding McMaster’s confusion and concern. Even worse for the Trump administration, Kushner’s weakness in the foreign policy sector has now caught the attention of special counsel Robert Mueller. The head of the Russia probe has been asking questions about the protocols Kushner utilized in setting up meetings with foreign officials. Mueller’s prodding regarding Kushner have added even more pressure on the White House as some within the administration saw him as “naive and being tricked” when dealing with foreign contacts. Kushner’s financial and professional vulnerabilities and the related discussions abroad were a key reason why Kushner’s security clearance was downgraded, and now, even if U.S. officials had much confidence in his ability to handle fragile foreign relations, his lowered security clearance greatly undercuts the resources needed to competently do his job. “He can’t see intercepted communications—that’s top secret, he’s now downgraded to secret … he can’t see the most secret CIA information about their informants … he can’t see some of the stuff our Western allies see,” said CNN national security analyst Phil Mudd. Kushner isn’t even allowed to see the daily presidential briefings after the downgrade, and Deputy Attorney General Rod Rosenstein halted his security clearance application. It doesn’t appear that Kushner’s top-secret clearance will be reinstated anytime soon. Without proper security clearance and a sense of confidence in him from other White House officials, it wouldn’t be surprising to see one of the president’s most highly touted—and supremely unqualified—officials make a swift exit in the coming future. “We will not respond substantively to unnamed sources peddling second-hand hearsay with rank speculation that continue to leak inaccurate information,” said Peter Mirijanian, a spokesman for Kushner’s attorney. Find out more about Kushner’s dealings here.